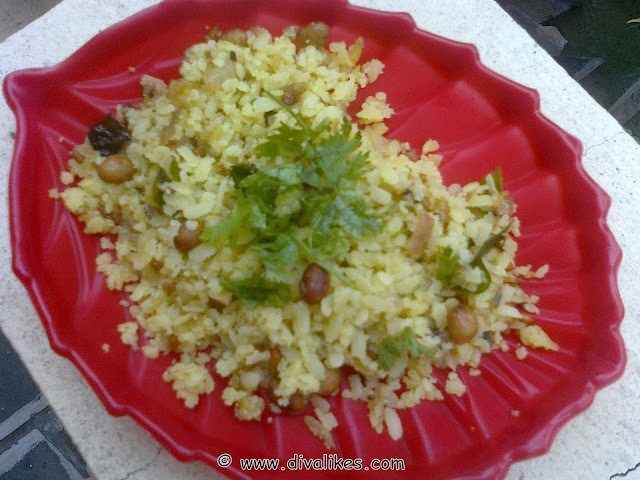 Peanut Poha is an easy recipe that can be prepared within 15 mins. It is quite tasty and healthy too. Apart from the breakfast idea, flattened rice can be eaten raw by immersing it in plain water or milk, with salt and sugar to taste or lightly fried in oil with nuts, raisins, cardamoms, and other spices. It can be reconstituted with hot water to make a porridge or paste depending on the proportion of water added. 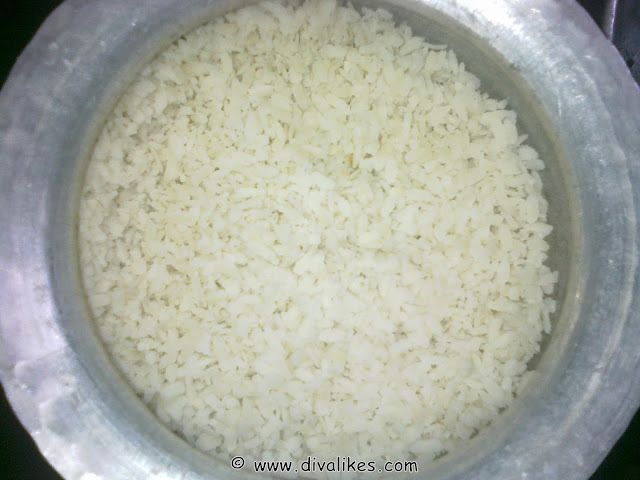 Flattened rice is also eaten raw by mixing with jaggery. They can be added while making onion samosas to absorb moisture from onions. 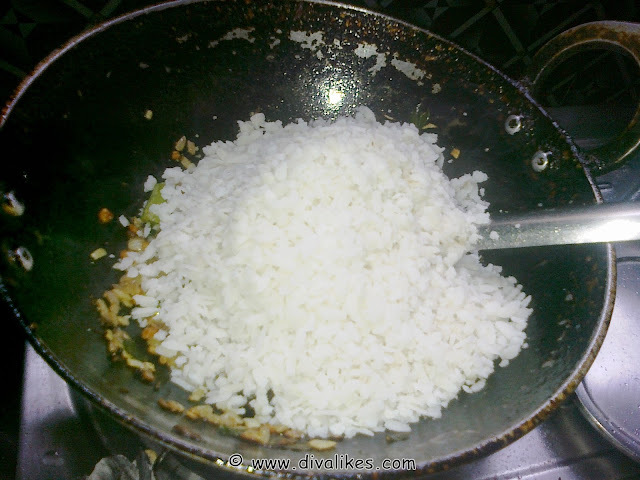 Wash the flattened rice twice or thrice under running water and set it aside for 5 min(They get soaked and increase in size during this resting time, if needed add a few drops of water). 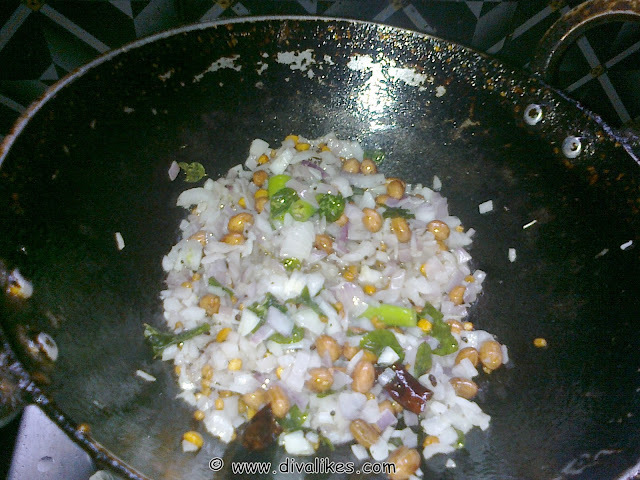 Heat oil in a wok and add the mustard seeds, chana dal, urad dal, dried red chillies and groundnuts. Fry for a minute and add onions. Saute till light pink. Add the flattened rice along with salt and turmeric powder. Mix well. Squeeze in the juice of one lemon and mix well. Add finely chopped coriander leaves. 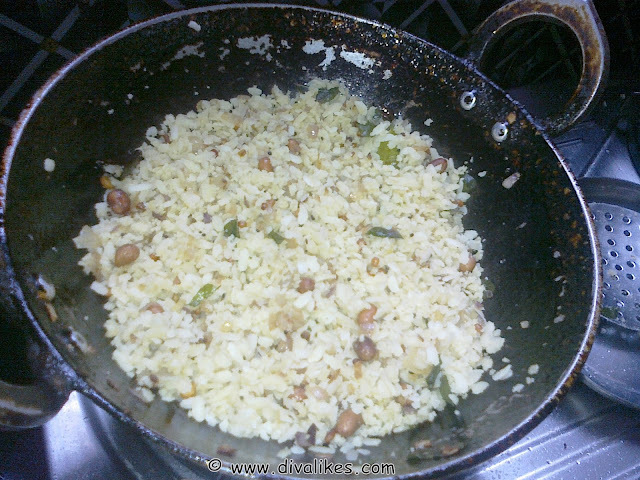 Serve the delicious Peanut Poha. Serve with a wedge of lemon garnished with fresh coriander leaves..
simple and delicious recipe :)love it.